There are not many people who know where Vietnam is. It is a peaceful S-shape country located in South East Asia, next to China, Laos, and Cambodia. There are 54 ethnic groups living in Vietnam, in which the majority is Kinh, who contributes approximately 86% of the population. The Kinh, Hoa (the Chinese) and Khmer are located mainly in deltas and coastal plains. Other groups live mostly in highland and mountainous areas in Vietnam. Language and writing of Kinh is official in Vietnam. Nevertheless, some of other groups have their own writings and they are taught in some schools. 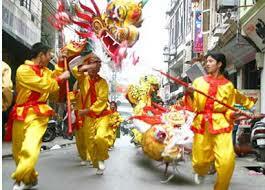 Vietnam culture is multi-colored, which is contributed by all ethnic groups living over the country. 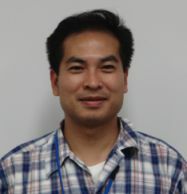 As a majority group, the culture of the Kinh is the most popular and it is concerned as the national culture. Geography location and the distribution of ethnic groups through different regions and climate create particular cultural areas. 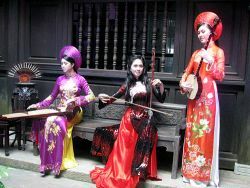 Photograph: Vietnamese traditional costume, instruments and decoration. Photograph: The Khmer traditional dance. Photograph: The Cham traditional dance. Photograph: Fruits in the Mid-Autumn festival. family gather and celebrating each other, hoping for a lucky, healthy and wealthy year for each other, especially the elders, and Mid-Autumn festival in the fifteen of the lunar August. Although the Mid-Autumn festival in Chinese custom originally celebrated the birthday of a king in Tang dynasty in China, its meaning has some changes in Vietnam. This was a time for enjoying the beauty of the nature firstly and become a festival of children in Vietnam nowadays. 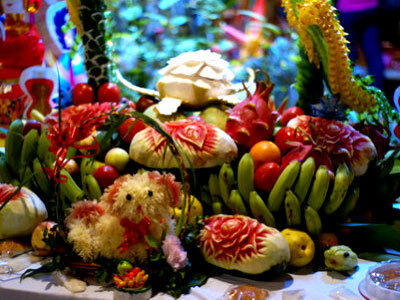 Therefore, beside traditional moon cake like China, Japan and Korea, there are a lot of fruits in this festival in Vietnam. Photograph: Spring roll and its sauce. 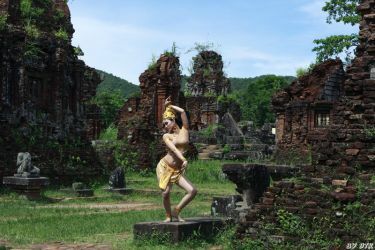 Living in deltas and coastal plains, the Kinh has wet-rice civilization and commune culture. As most of population live in the rural and live by agricultural production, the relationship among partners of the commune is so close, in which most of people have got relative relationship. In some cases, the communes are named by family name of people living there, such as Dang Xa and Luu Xa (those are communes of people having surname as Dang, Luu). Cuisine takes an important part in Vietnam culture. Vietnamese in the Northern is featured by mixing ingredients which are not very spicy, sweet or fatty while the Central people use more chili and salt and the Southerner use more sweet in cooking. However, all Vietnamese people use a lot of vegetables in their meal. One of the principles in Vietnamese cuisine is that materials having "cold" characteristic such as shrimp, fish and crab should be cooked with the ingredients of “hot” characteristic like ginger and garlic and vice versa to create a balance to the dish and to be good for health. Soup and sauce are also popular in Vietnam. 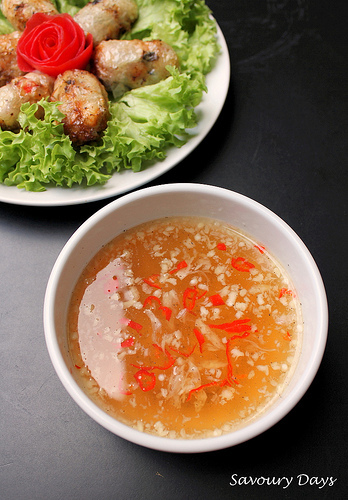 Fish sauce is a traditional and favorite kind of sauce in Vietnam. It is not only used as it is but also be processed to be many kinds of sauce. For example, spring rolls, the most popular and famous dishes made from meat or shrimp or crab and a lot of vegetables in Vietnam, are used with a sauce which is made from fish sauce, sweet, lemon or vinegar, garlic, chili. It is so delicious and the dish is usually commented for foreigners when they come to Vietnam or when Vietnamese go abroad. Let’s visit Vietnam to enjoy culture and traditional food.